Oh my goodness! 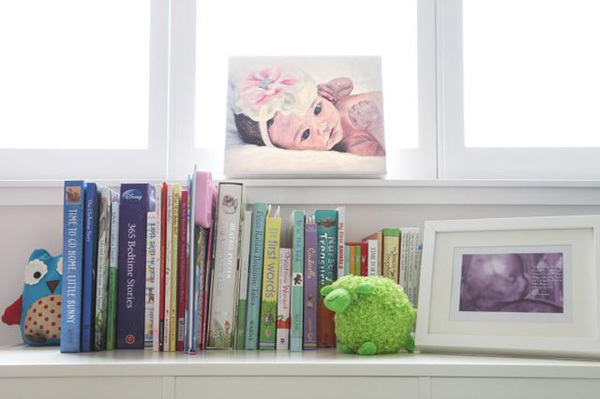 Prepare yourself Babyologists, this is a nursery you’ll want to spend some time in yourself! 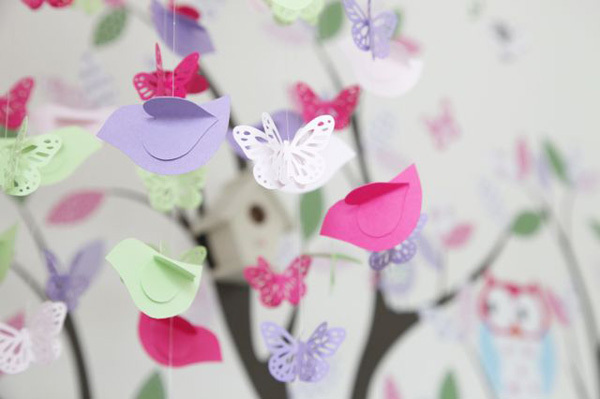 I first found the perfect tree wall sticker, which was then complemented by the bird houses and the bird and butterfly mobile above her change table. I then fell in love with the Darla by Tanya Whelan range of fabric, so I had to use this in her room. I decided to make her cot sheets out of this fabric range. I then want to use more of this fabric and decided it would be perfect for the cushions on the day bed in her nursery where we spend a lot time together reading books and playing with toys. I love hair accessories, so Scarlett has a huge collection of gorgeous headbands and clips. 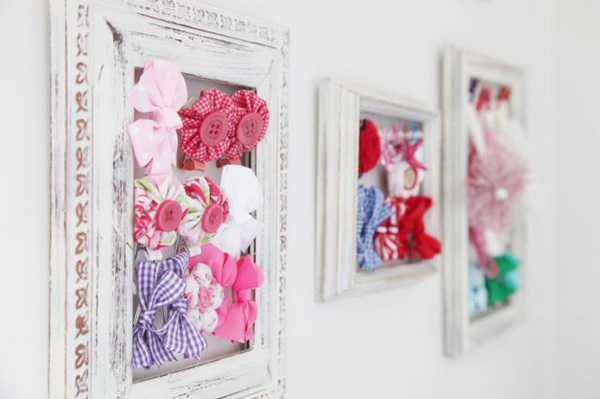 I thought it might be nice to display them as a bit of a feature on one of her walls, so I purchased frames of different sizes and used some ribbon and mini pegs to clip the headbands and clips onto within the frames. 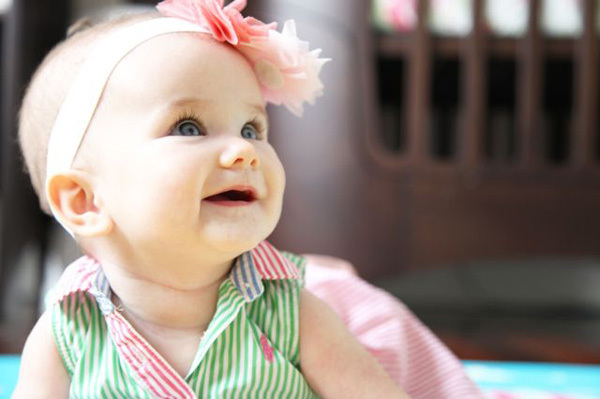 Being a large bedroom I wanted to use the floor space as a play area for Scarlett, so I went in search for the perfect floor mat/rug and quickly fell in love with the Bubba Mat. Scarlett has so much fun playing on this mat and it is by far her favourite area to play in the house! 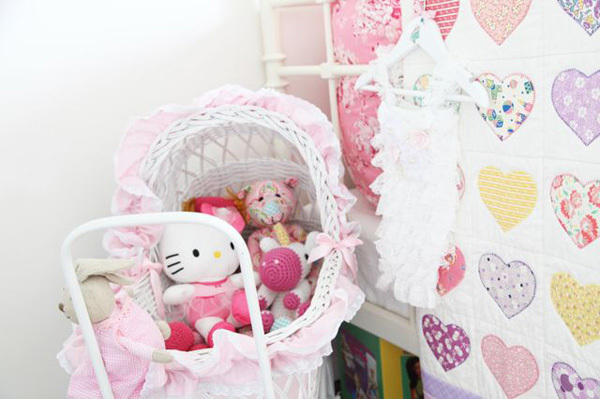 Her room was then accessorised with various gifts from family and friends and other various items I bought throughout my pregnancy, to complement the room. Some of these gifts included a handmade quilt from Scarlett’s great aunt and a hand painted newborn picture of Scarlett given to her by her Boppy (grandpa). 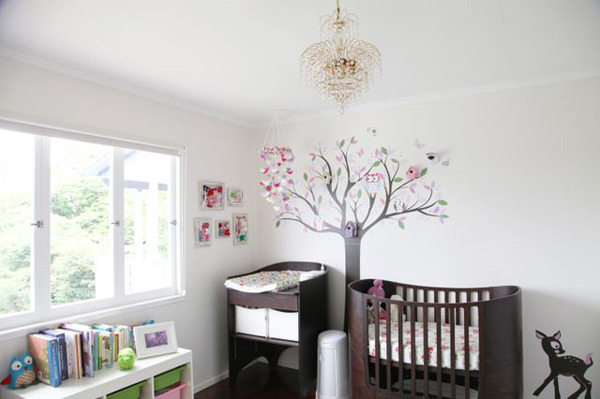 I am delighted how Scarlett’s nursery turned out and I think Scarlett is just as delighted with it. She has spent many fun-filled hours in her room, with many more to come.